Today we’d like to introduce you to Rikki Rincón. In my very early years at the age of 13, I was casted in a Universal Pictures film release called “The Island” which featured well known British actor Michael Caine. This experience led to opening my mind and doors to being in the public eye, from acting, radio and commercial works. Over the course of my career I have worked in so many areas from production management, sales and event execution for concert productions in the USA including talent booking, media relations, press junkets and more. I handle a vast amount of digital brand management for the entertainment, corporate and tech industries. Talent and media works included but not limited to Selena, Oscar D’Leon, Brian McKnight, SWV, Havana NRG!, Grupo Niche, Tito Puente, Tito Puente Jr., Celia Cruz, Run DMC, Cypress Hill, Nia Long, Fat Joe, Notorious B.I.G., Chayanne, Luis Enrique, Stevie B., TKA and many more spanning several decades. From the early 1980’s I worked marketing concepts/music programming/on air talent with radio properties KNON 89.3FM, 100.3 KJMZ, K-104FM, KICK 99.1FM, KHYI-Y95 and after many years, I broke away from the music to focus on public relations, digital brand management and music. 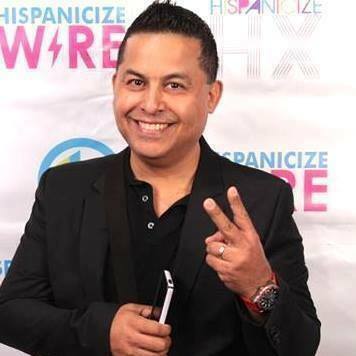 I am also the President of Music Access Latino, a division at Music Access, Inc. (music label/distributor) and Managing Partner/Principle with R2 Group, a PR Agency here in Dallas as well. It has been a wonderful journey from the very beginnings through today. Even all the unexpected experiences were learning ones allowing me to grow, both internally and externally creating a clearer path for my vision. The obstacles I have encountered in the Dallas market specifically have been most not being fully informed or aware of the fast paced digital space we all live in. From the traditional “advertising” prospective to the uber fast paced digital integration one, this has been the biggest of all obstacles faced in the past 10 years. Things have become much clearer today with the amount of published stories informing businesses and Fortune 500 companies of their need to switch gears to obtaining a more concise digital plan and how to reach the masses. I love informing those in the dark and have gone so far as creating a digital info sizzle reel in hopes to visually stimulating them towards more business. We at Creative Juice Online provide social media progressive strategies to your brand, message or identity. Executing online amplification, marketing, branding, media relations and digital consumer outreach via creative tactics, metric engagement and high traffic visibility 7 days a week. Maximizing the reach, effectiveness of every campaign while maintaining “top of mind” to your target demo. The channels we are using today to “brand” your company and service via Facebook, Twitter, LinkedIn, Instagram, Pinterest , etc. have enable us to keep your business or product “top of mind” with your consumer base and others that otherwise may have never heard of you before. To “brand” your business or product takes time, much time and patience of consistency, not just an advertising schedule. The ROI takes place over time, time that wise business owners invest in so after much frequency, high engagement via social media and adding traditional advertising and more online, together bring about results. Here at Creative Juice Online, we are a digital branding agency that work for you 7 days, 7 nights a week to keep your consumers informed, updated with relevant material to raise the metrics, and have them engaged with your business. The time invested into what we do is priceless as it would equate to having an employee on your staff working 60-90 hours per week to keep up, yeah, we understand. It is either your business or your competitor, what direction will you take? Click here for client testimonials. We are known for and pride ourselves on being online 7 days a week and our clients have taken notice and are shocked to see us respond at add hours of day, night and weekends. We truly live online. Dallas is a great city for my business as are any/all markets. Since our work requires no local connect physically, we have managed to target markets to which our businesses are in to “amplify” their brand or message. Dallas is a growing market that holds so much promise. I have come to find out that the DNA/Culture of Dallas has so much room to grow as other markets I have worked in appear to be a bit further in progressive digital nature but that keeps things growing daily and very interesting to say the very least. What the digital culture has done is bridge the physical side of various cultures in bringing about a 1 synonymous message of companies and their online outreach instead of only segmenting as happens via other mediums of television and radio. For someone just starting out I would highly recommend learning person to person skills, the psychology and behavioral patterns of various cultures and sub groups while learning the tools required to advance digitally. To never give up and collect data, the most useful too we have. Dallas is a great market to launch a digital career, it allows you to go at slower pace than other markets. The 9-5 mentality still resides in Dallas so this helps someone learn as they go and grow, preparing them and equipping them for other much more progressive digital marketplaces.